I did the whole Solarised colour theme thing for a few years, but (ironically) I never found the contrast great. 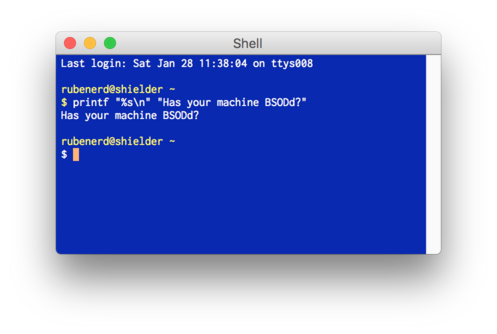 So now I’ve gone old school and installed a Borland theme; it’s nostalgic, clear, and convinced my colleagues that my machine had crashed. delip was the original author, but I first found it through this fabulous collection of iTerm themes on Github. People take their colours seriously.